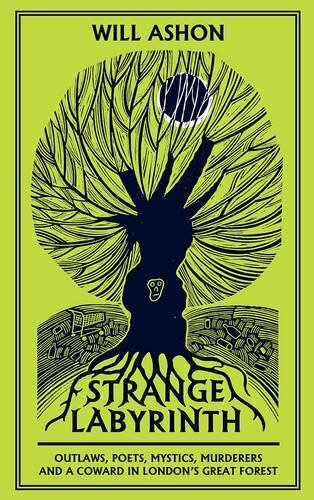 Will Ashon’s non-fiction debut Strange Labyrinth blends nature writing, psychogeography and memoir in its depiction of the ‘outlaws, poets, mystics, murderers’ of Epping Forest. He has also published two novels, Clear Water and The Heritage, and founded the record label Big Dada, signing acts including Roots Manuva, Kate Tempest and Diplo. Not so much. Not sure if that’s because no one imposed their dreary expectations upon me or I just wasn’t very observant. As a result, I’ve devoted my life to fulfilling my own dreary bourgeois-bohemian expectations, which I’ve done rather more successfully than I might have hoped. I’m not convinced I’ve done anything ‘my way’ – isn’t my way a kind of social construct masquerading as the triumph of individual will? Well that would probably vary every week. Today I opt for: discovering, aged about 12, that a group of my friends had formed a club dedicated to hating me and, in particular, the way I reacted to this news. Is this meant to be boosting my self-estimation? The problem is I’m pathologically self-deprecating so this kind of auto-celebration causes me pain instead of elation. I’ve drifted through life on a cloud of luck so while I’ve been told in the past that I have integrity, I don’t think this is a theory which has been robustly tested. Describe or pick? If it’s pick I’ll go for Thomas Pynchon for my exemplification. As for incarnations of leastness, they’re all far too obvious at the moment in that they appear to be running the world. (I guess they always run the world). My laptop and my reader’s card for the British Library of the Dead (perhaps if I were dead I could even afford a membership for the London Library of the Dead?). A nice bottle of red wine. Maybe Life: A User’s Manual by Georges Perec because (a) I need to re-read it, and (b) the irony of the title will make my dead self rattle with laughter. There was a group portrait that I saw in the Pompidou centre when I first went to France, aged 11, which I was obsessed with for years. I had a photo my dad took, with me standing beside it. But I never remembered what the painting was and then I lost the photo. I think I liked it because I thought I could figure it out. Now I’d like to think that any favourite portrait would be something I couldn’t figure out, but maybe I’m kidding myself. Posted in Interviews and tagged The Momus Quesionnaire, will ashon. Bookmark the permalink.